Multiple sources have confirmed that Nintendo is showing its new HD console to game publishers and will unveil the system to the public at this year's E3, if not sooner. 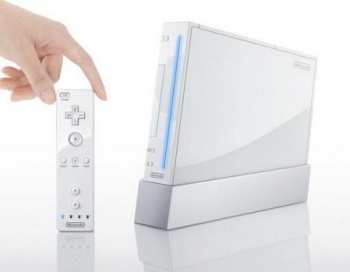 Nintendo's long-awaited successor to the Wii is finally on the cusp of being unveiled, according to a Game Informer report, which claims confirmation from "multiple sources" that the new system will be unveiled at this year's E3 and possibly sooner. The new system will boast HD video capabilities, although how it will stand up head-to-head against the PlayStation 3 and Xbox 360 remains to be seen. The site says it "understands" that Nintendo "is trying to embrace the Western gamer" with the new hardware and thus will likely release it as an all-new brand rather than an overhauled Wii. Nintendo is apparently showing the new hardware to publishers now in order to give them plenty of time to have games ready for its release in late 2012, a completely different approach than it took with the Wii. "Nintendo is doing this one right," an anonymous source told the site. "[It's] not a gimmick like the Wii." In its own report, IGN claims the new unit will be "significantly more powerful than the PlayStation 3 and Xbox 360" and will offer backwards-compatibility with current Wii software, suggesting that the current Wii control scheme will also be supported, although it will presumably be significantly evolved. The only thing certain at this point is that Nintendo needs to do something, and it needs to do it big. After years of dominating the current generation of consoles its sales have slowed dramatically and although a rumored $50 price cut may help counteract that slowdown, new, more capable hardware is Nintendo's only real option if it wants to stay in the fight. Nintendo, of course, refused to comment on its plans for E3 or anything else, but it did offer a cryptic "stay tuned." Sure sounds like something's up, doesn't it? E3, by the way, runs June 7-9 this year; you might want to keep your eye on it.